I'll get straight to it, I'm trying to figure out how to be able to paint Grass Foliage to a Level without it sticking to Steep enough slopes. 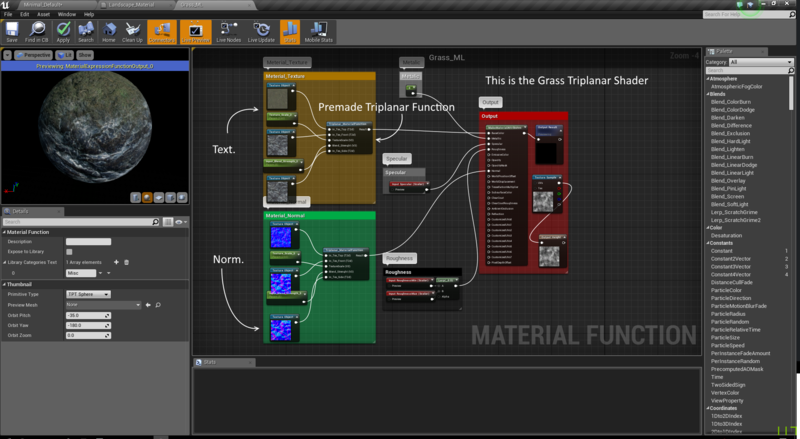 As of now I have a Triplanar Material that transitions from grass to Stone, which is working fine but the Grass Foliage I wanted on the Grass texture is still on the Stone. So I was wondering how I could make it only where the grass is. 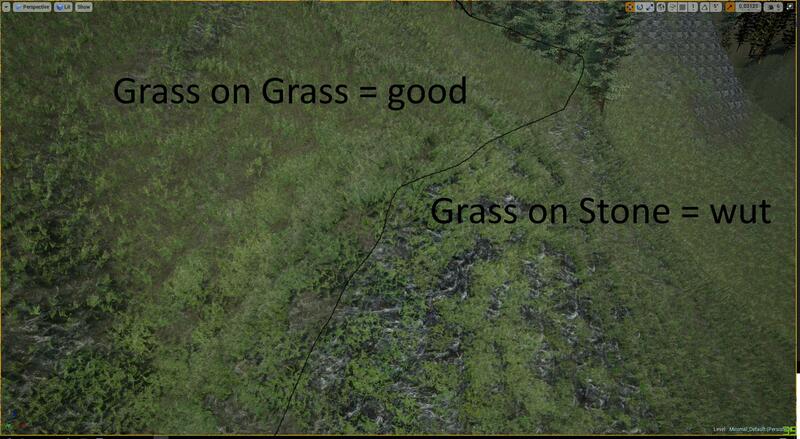 Just select your Grass in foliage tab and scroll down you will find something called min angle just tweak it you will get what you need. What is the best way to make LOD? How can I create nature in UE4? 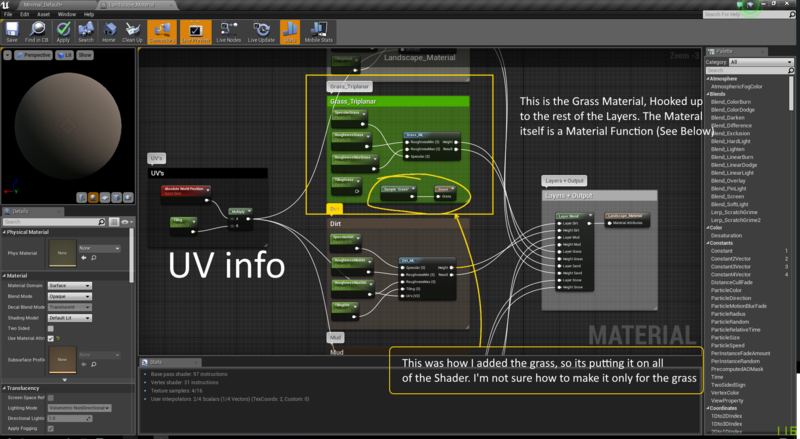 Is the Grow Grass function of Cinema 4d R16 Compatible? Is there a down side to having alot of LODs on a for a single mesh?